As fall takes full effect in the Northern Hemisphere, it’s the perfect time to enjoy a whisky cocktail and toast to the season. 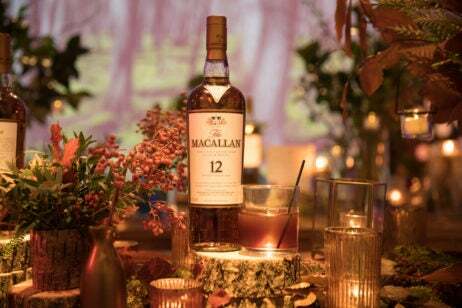 Our whisky of choice is The Macallan, with not one but two cocktails to cozy up with this weekend. 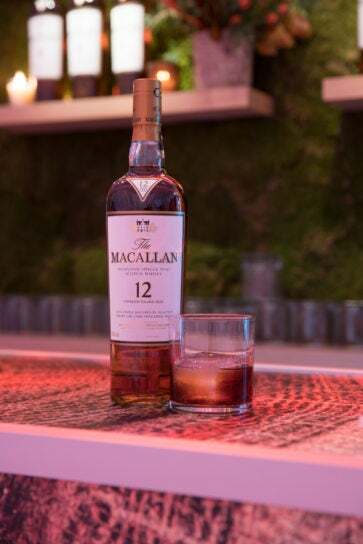 While both recipes feature a 12-year-old single malt from the Speyside distillery, The Macallan 12 has two expressions with distinct personalities, posing the question: ‘Whose side are you on?’ To help you decide between The Macallan Double Cask 12 Years Old and The Macallan Sherry Oak 12 Years Old, the brand has created an augmented reality app experience to give users a look into what makes both whiskies unique. The interactive app explores the life of each whisky from acorn to bottle, providing insight into how both expressions are made and how they differ in their end result. 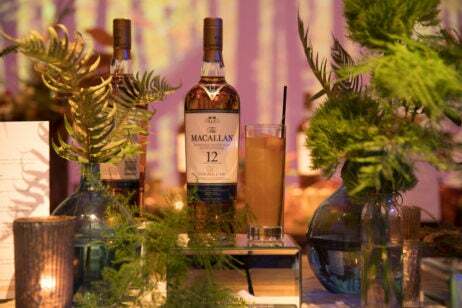 Using AR and Microsoft HoloLens technology, users are whisked away to American and European oak forests to discover the origin of the wood and the respective journeys of The Macallan Double Cask 12 Years Old and The Macallan Sherry Oak 12 Years Old. See both Cocktail of the Week recipes from The Macallan below. 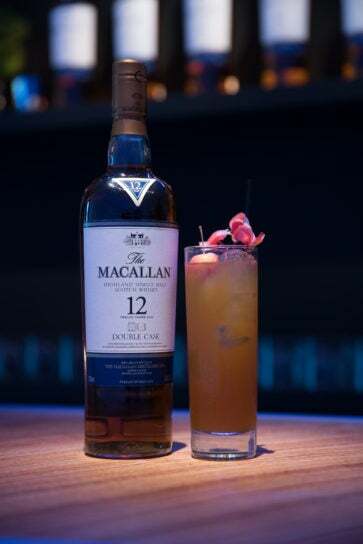 To create this cocktail of the week, add The Macallan Double Cask 12 Years Old and all other ingredients into a shaker. Shake and strain over ice into a collins glass. Garnish with a crab apple. The Macallan Double Cask 12 Years Old is aged in 100 percent sherry-seasoned casks and is identified by its American oak style. The whisky features notes of honey, citrus and fresh oak along with traditional Macallan notes of dried fruit, pairing perfectly with classic fall flavors of apple cider and maple syrup. The lightness of the All American Autumn cocktail makes it best as a pre-dinner drink. To create this cocktail of the week, add The Macallan Sherry Oak 12 Years Old and all other ingredients together. Stir and strain over ice into a rocks glass. On the other team, The Macallan Sherry Oak 12 is aged in 100 percent sherry-seasoned oak casks with a contrasting European Oak profile. The whisky features notes of dried fruit, spices, toffee and wood smoke that complement the tart cherry flavors found elsewhere in the recipe. The Sherried Cherry is an ideal cocktail to follow your meal, or even to sip alongside it. The Macallan AR 12 Experience is available in the iTunes store. For more information on The Macallan 12, please visit themacallan.com.